LAKE CHARLES, LA (KPLC) - Through the rest of the afternoon, it will remain cloudy and muggy. There will be some fog that sticks around as well. Particularly near the coast. There, the fog may not clear until tonight. 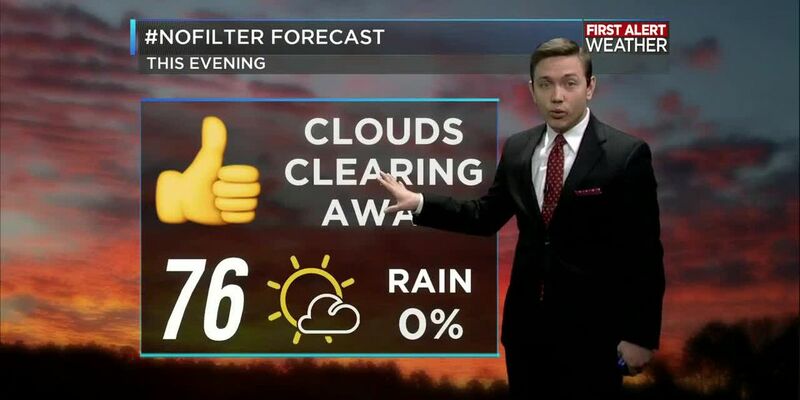 It will be cloudy with very limited sunshine. Temperatures will also be warm with highs in the mid 70s. 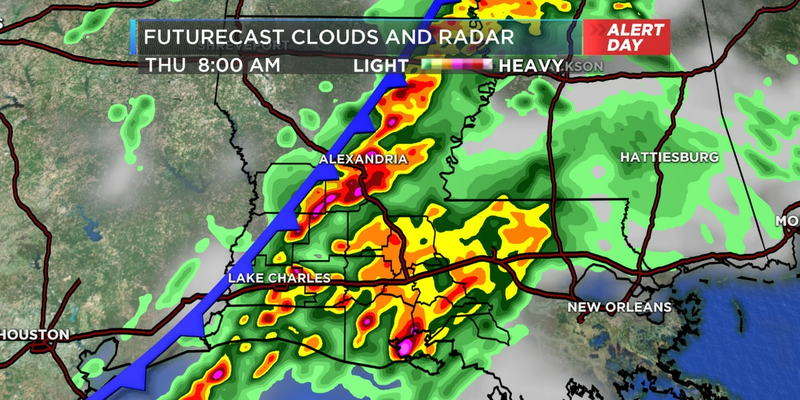 This evening, the rain chances will begin to increase with an approaching cold front. 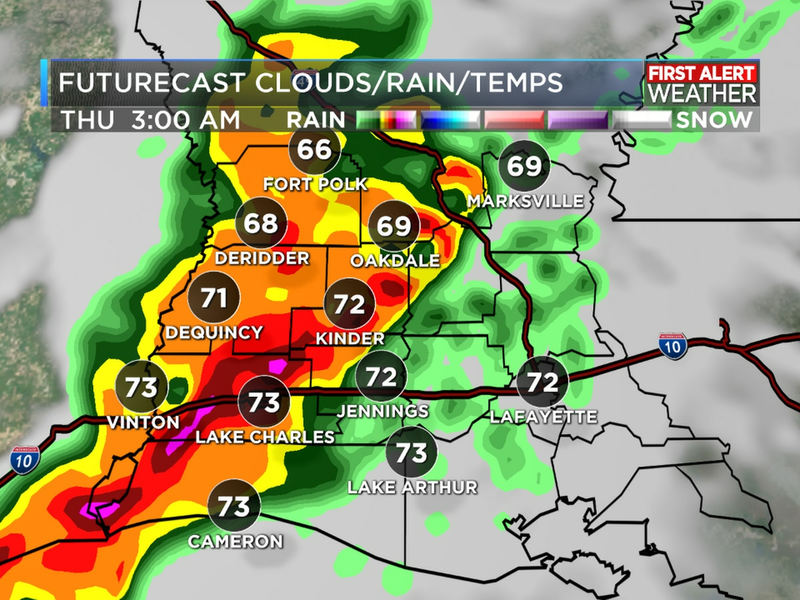 The front will push through after midnight, so any evening plans should not be impacted too much. I would just bring an umbrella with you for the chance of scattered showers. Temperatures will not cool down very much this evening. So, it will be very warm with temperatures in the upper 60s. 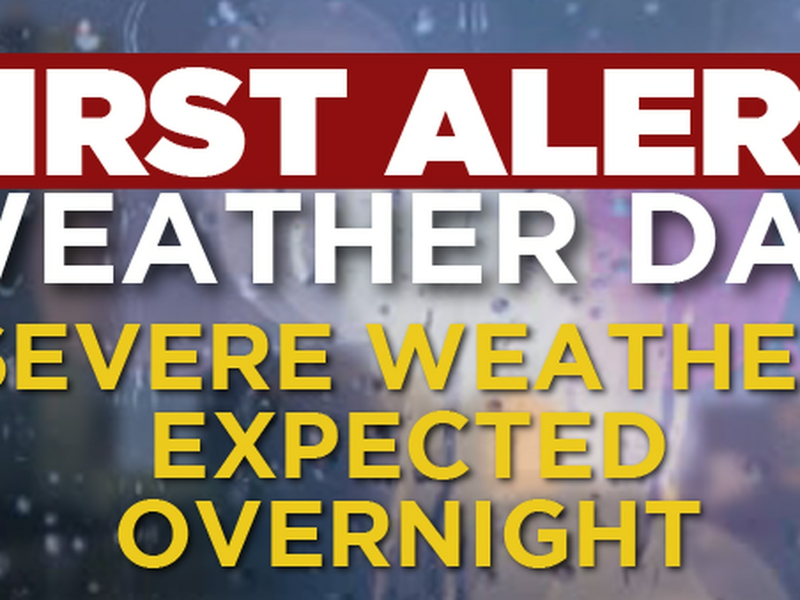 Overnight, a cold front will pass through. It should be near midnight as the front passes. 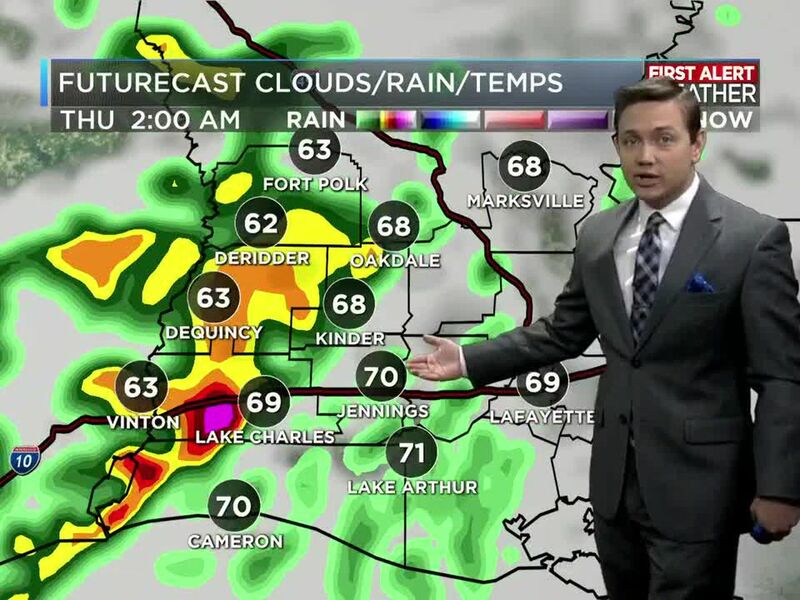 North of I-10 will see the rain first, then south of I-10 should see the rain a little later. 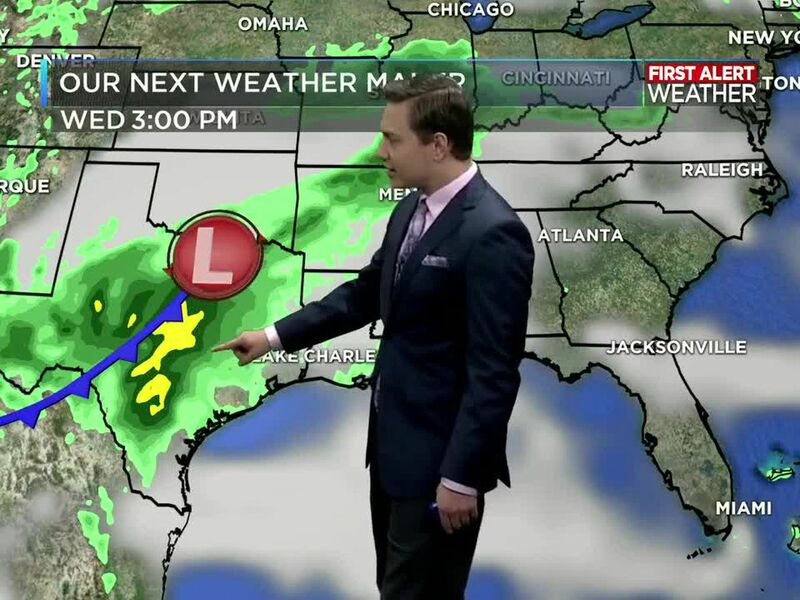 I do not expect any severe weather with this system. However, there could be some gusty winds and heavy rainfall overnight. I would also be prepared for storms. After the front passes, the temperatures will cool down, but only to the upper 50s. 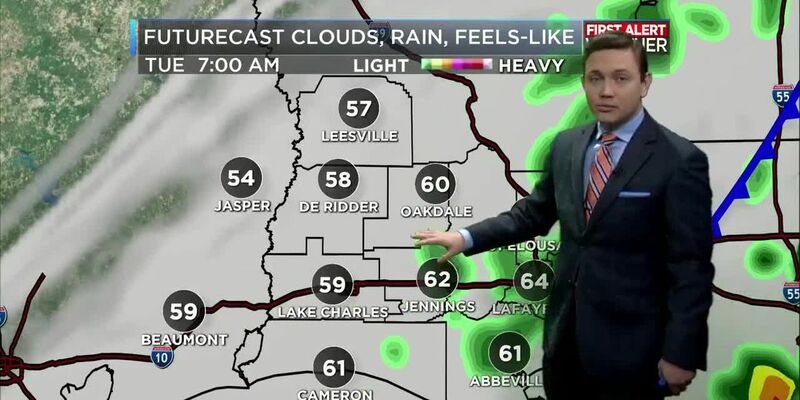 Some good news is that the rain should be gone by your morning commute on Tuesday. There may be one of two lingering showers, but those will also move out quickly. I still have the rain chance up to 60%, but that is just to signal the rain we can expect early in the morning. By Tuesday afternoon, it will be much better! The temperature will be roughly ten degrees cooler than today, and the sun will likely reappear! So, it will be a beautiful afternoon as the clouds clear away allowing for more sunshine. Wednesday will get off to a chilly start but will then will warm up to the lower to mid 60s. There will also be plenty of sunshine in the afternoon. Wednesday should be the best day of the week. Try to make some time to enjoy the beautiful weather! By Thursday, the clouds will begin to return again. This is from the southerly winds coming back. I do not expect any rain though. As of now, I have a 20% chance of rain, but this is trending down. So, we may not see any rain at all! Temperatures will reach the lower 70s in the afternoon. Friday will have another cold front push through. This time though, we may not see any rain. Most, if not all, of the rain will be to our east and the north. So, if this persists, this will be a dry cold front, where there’s no rain at all. After the front passes, there will be a slight cool down going into the weekend. Highs on Saturday and Sunday will be int eh lower to mid 60s. So, it will still be nice. The best part is that I don’t expect any rain over the weekend. It should be partly to mostly cloudy, so there will be some sunshine. Not much will change as we start next week. As of now, it looks to be mostly cloudy with some sunshine from time to time. The rain chances will be low and will stay around 20%. The temperatures will be on a gradual increase again.